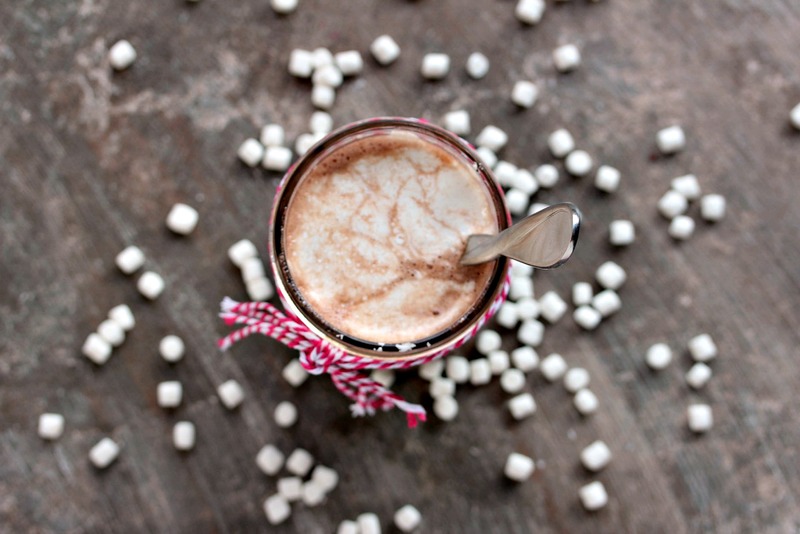 This hot chocolate recipe is a real crowd pleaser. Whip up a batch on a cold day and curl up by the fireplace with a good book. Sip your way to your happy place! I love being the resident chocolate fanatic at Food Fanatic. It means I get to make chocolate recipes on a consistent basis. 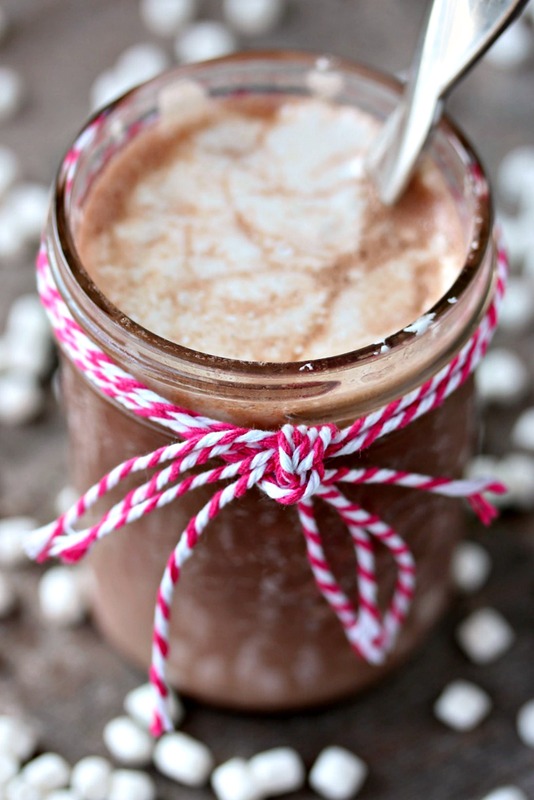 Recipes like this Nutella Hot Chocolate. Which really works for me. I can’t get enough chocolate in life. I try to eat, or drink, some every single day. When I say I love hot chocolate it’s really an understatement. I cannot even express how much I enjoy a hot mug of cocoa. I’m not sure if it’s from growing up in Canada, or just because I love chocolate in general. All I know is I love it and try to sip it as much as humanly possible. Living in Ontario means we get our share of cold weather over the winter months. Usually it’s quite cold from the middle of October until the middle April. That’s a lot of months to sip on hot chocolate. It’s one of the perks of living here. It’s make tolerating winter a bit easier. We spend a ton of time at the barn with our horses. Usually after 2 or 3 hours in the cold I just want to come home and warm up. 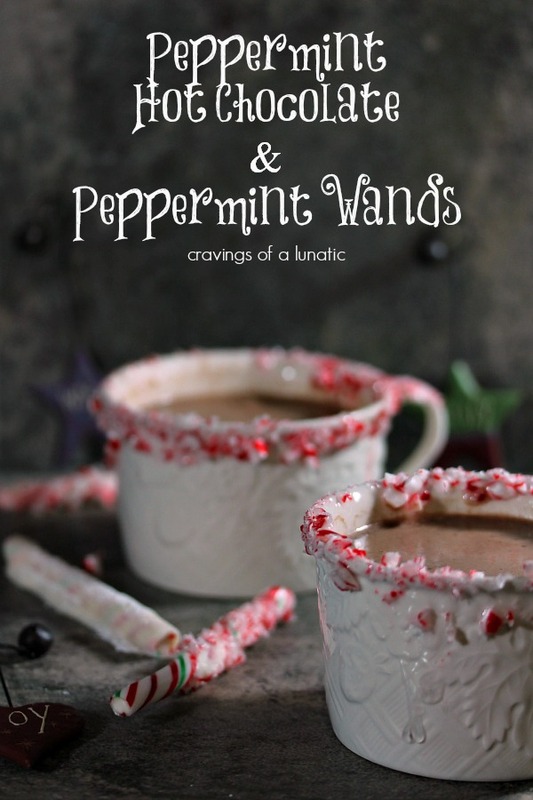 For me the best way to do that is to whip up some Nutella Hot Chocolate, then wrap myself up in a warm blanket while I sit in front of our wood burning fireplace. I know right. That sounds like perfection, doesn’t it? I figure if I have to tolerate our harsh winters then I’m going to take advantage of every perk I can. Let’s just say we make oodles of hot chocolate in our house. Honestly there’s usually a pot of hot chocolate on the stove every day. I’ve been making my own hot chocolate since I was a teenager. I used to work midnights at a variety store in town. By the middle of the night the store got a bit boring. Not many people are shopping in a small town at 3 or 4 am. So I would use their hot chocolate machine and experiment with flavours. 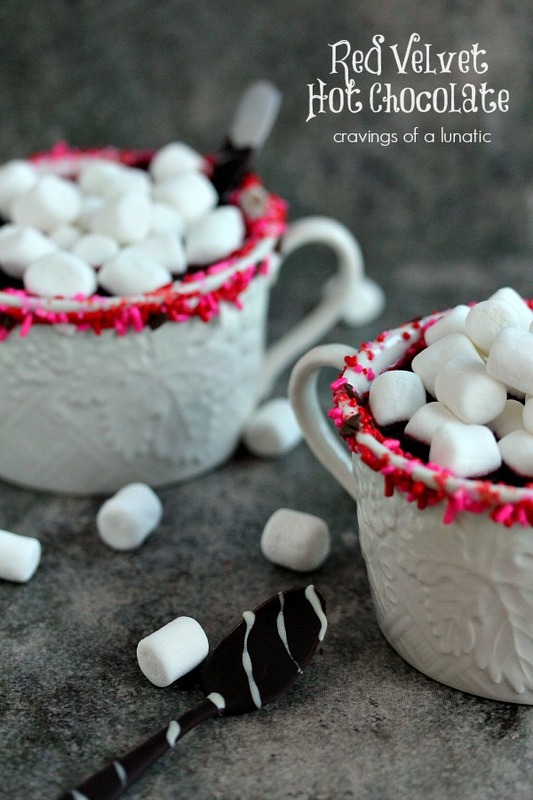 It was so much fun to whip up funky versions of hot chocolate because I had so much candy and chocolate in the store. I had access to oodles of chocolate bars and candy. I would try different ones and makes notes of which worked and which did not. Usually the more chocolate the better. I love dropping marshmallow cream in my hot chocolate. 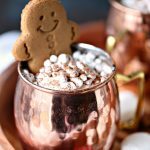 You can take a big scoop of marshmallow Fluff and float it on the top, then give it a stir and it becomes this amazing creamy foam that is delightful to sip. Since I’m of the mind of “more is better” I also add mini marshmallows to mine. For no other reason than I like them. 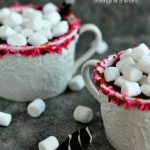 You can dress up the top with marshmallow cream, large marshmallows, mini marshmallows, or whipped cream. 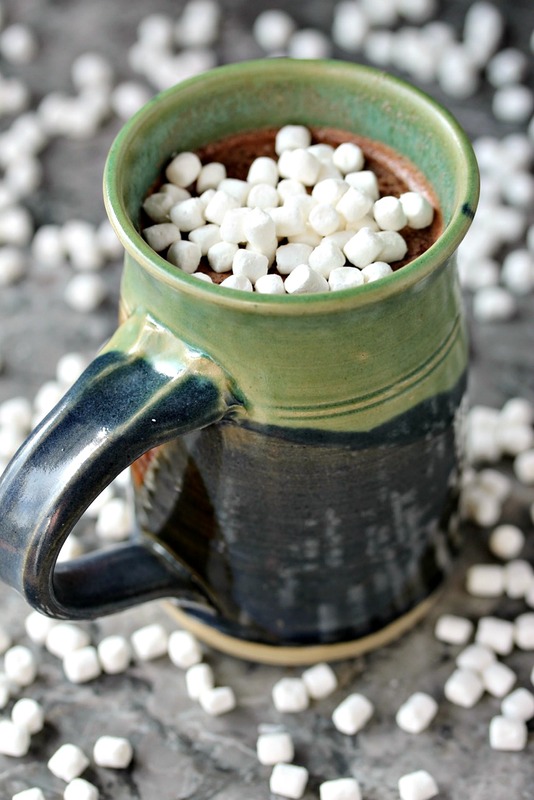 Live it up, pile the hot chocolate additions high and sip like a boss! 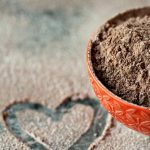 If you’re looking for more hot chocolate recipes, or just chocolate recipes in general, be sure to check out my recipe index. 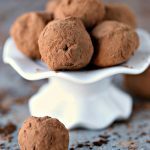 There’s a plethora of great recipes in there for chocolate fanatics like myself. Be sure to follow me on Pinterest to keep up to date on all the new recipes on the blog. 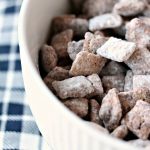 I pin them all to my Cravings of a Lunatic: Recipes Board so it’s an easy way to stay up to date with new recipes. Plus you can scroll through easily to find recipe inspiration for dinner, or dessert, or even cocktails. You can also follow me on Instagram. 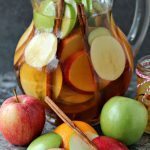 I share photos of recipes, both new and old, on there daily so it’s great way to stay current with what’s happening on the blog. I also share “slice of life” photos there. Things like photos of my pets and house, plus cooking and eating adventures. Occasionally the odd travel photo shows up there too Rarely photos of me though, I’m not big on selfies. Be sure to check out the blog tomorrow for some Pretty in Pink Coconut Cupcakes. They were delicious and inspired by the anniversary of the movie “Pretty in Pink“. If you’re a pink lover, like me, you’ll want to make the cupcakes as soon as possible. You will love them. Pink coconut abounds and it’s utterly scrumptious! I think we are going right from winter to spring here in Georgia. Even if it is 70• doesn’t mean I cannot enjoy a delicious nutella hot chocolate. My daughter would love your night of a couple of hours with horses then coming home to hot chocolate. It was weird here today. We basically did the same. It was freezing then bam, instant spring. My windows are open. Crazy town. I love barn time but when it’s freezing it’s rough. I’ve had days where you hop off the horse and your feet feel like they might shatter like glass. I much prefer the summer for barn time. But the one perk of winter is definitely hot chocolate. Love it. Oh yum! This would be perfect to enjoy today, it is both chilly and rainy! Ugh, what a horrible combination for weather. I hate chilly and rainy, especially combined. Thanks for visiting Marye. 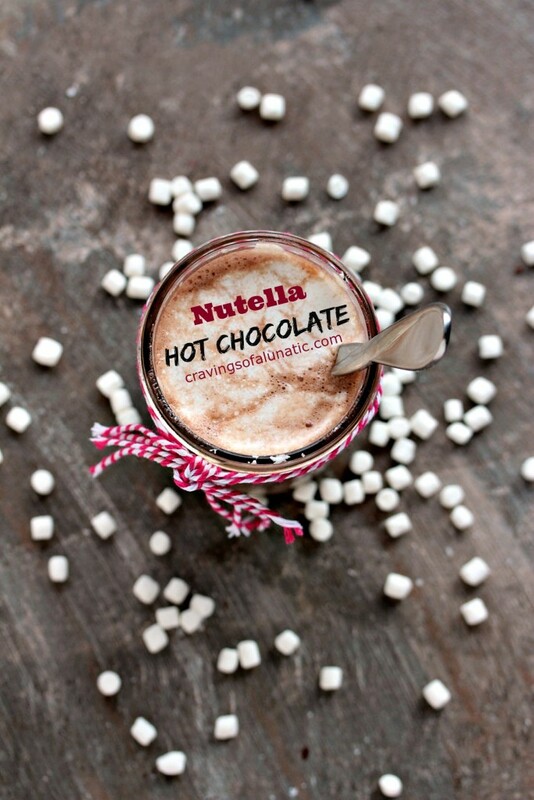 well..pass me a big glass for me please.. love your nutella hot chocolate drink. HI drink hot chocolate nearly every day in the winter, and several times a week during the rest of the year. It’s like the world’s most perfect hot beverage. Nutella Hot Chocolate should really be called No Messin’ Around Hot Chocolate because it just goes all out in the sweetest way. Was it ridiculously warm on your side of the river today? It was so freaking nice today. First day in eons I didn’t crave hot chocolate. It was too darn warm. I’m such a sucker for hot chocolate. I will make these giant pitches of it (I make mine in the Vitamix) buy why oh why do I not add more Nutella to my hot chocolate!? I need this in my life! I need a Vitamix so desperately. I love that you can heat things in them. I keep hoping to win one, but I should just make the leap and buy one. You definitely need to add a giant scoop of Nutella in your hot chocolate next time you make it. It’s SO good. I can’t believe I didn’t eat Nutella until a few years ago. All those wasted years……ha! 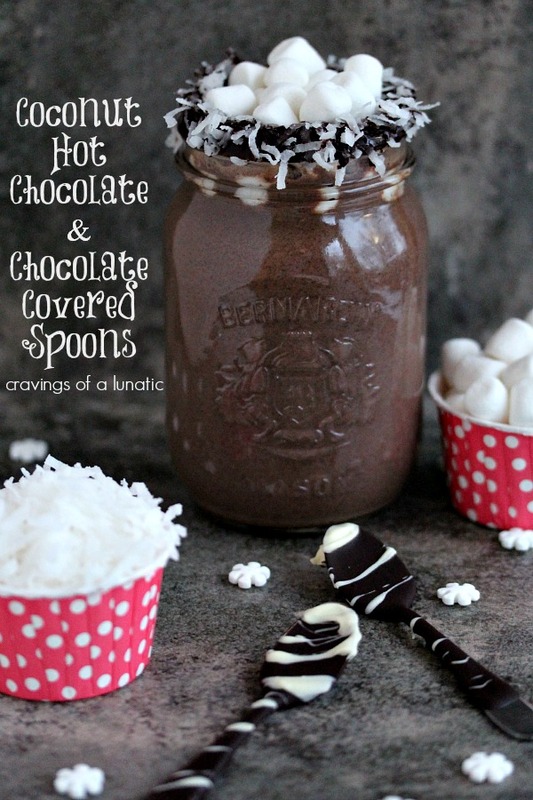 I looove that you’re the chocolate fanatic and I LOOOVE that you made this deliciously creamy nutella hot chocolate! I know what I’ll be serving Christmas morning. Thanks for this awesome recipe.